We offer a free estimate for all your security needs. Our professionally trained Locksmiths are available 24 hours a day 7 days a week. Coastall Locksmiths provides a 24 hour locksmith for fast and effective service. Are you currently locked out of your home, work or motor vehicle? Do you have a broken or cracked key? There is absolutely no reason to be concerned! 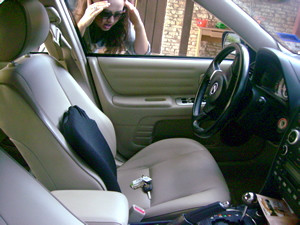 Car locks replacement, transponder key and ignition system aid is available 24/7 from Coastall Locksmiths. Integrity, honesty and reliability are our top priority. We have mobile Locksmiths always available with all the gear in their vans to get the job whatever it may be. No job too big or small, covering the extended Sunshine Coast region, for all keys, locks & security needs. Located centrally in Mooloolaba, we can get a Locksmith out to you quickly for any emergency job or less urgent works.